In 2013, Innovisor found some surprising results, when researching its data on gender and collaboration. While both genders had an equal number of people they collaborated with, who they collaborated with was different. Men were more likely to collaborate with men, and women were more likely to collaborate with women. Men were more likely to collaborate with men, and women were more likely to collaborate with women. This research was quoted in the Wall Street Journal article ‘At Work‘, and later cited in Sheryl Sandberg’s prominent book ‘Lean In‘. A study conducted by the Peterson Institute for International Economics and EY in 2016 showed that organizations led by women are more profitable. The study analyzed 21,980 global, publicly, traded companies in 91 countries from various industries and sectors. Their result was clear: if you have at least 30% of women in leadership positions or the “C-suite,” it adds 6% to the net profit margin. Why Do Organizations Led by Women Perform Better? The new study puzzled Innovisor. Why do organizations led by women perform better? Since we already established that the women on an individual level were not collaborating more than men, we decided to look somewhere else in our data. 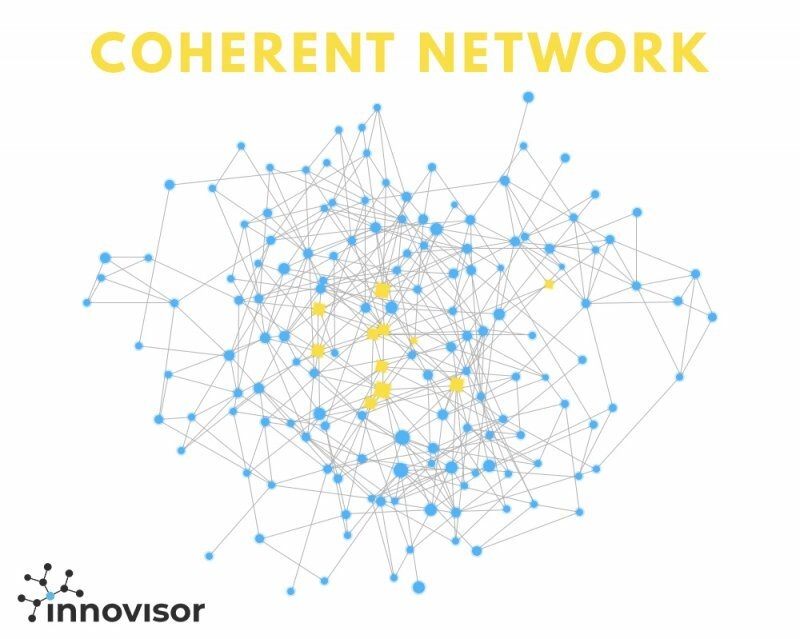 Also because Innovisor had previously established that there was a correlation between organizational coherence and performance. We decided to look into if organizations led by women were more coherent. Women create organizations that are more coherent. Organizations, where the conditions for walking “in the same direction” and alignment are much better. Where there – to a lesser extent – are no conflicting priorities, and where the leadership and the employees are more likely to act as ONE. It is in this type of coherent organizations that high performance materialize. The diagram below documents the impact of women as top leaders. It shows how the difference between men and women as leaders in creating coherent organizations increases as organizations grow. 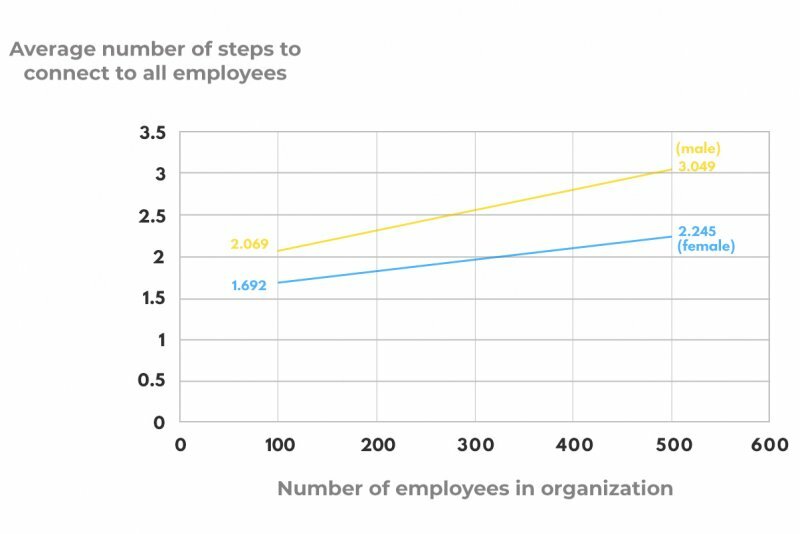 As depicted in the diagram organizations with 100 employees led by females are 22% more coherent, whereas organizations with 500 employees led by females are 35% more coherent. Hence, the larger the organization the larger impact the gender of the top leader has on its coherence. The data used for the research is collaboration diagnostics conducted by Innovisor on 2,500,000 million collaborative relations and +150 organizations. We know that organizations that are more coherent perform better – and we also know that organizations lead by women are more coherent. Can we assume that organizations led by women perform better because they are more coherent? – Yes, I believe, we can! Help your people connect. Leadership is about ensuring that all your team members know they are contributing and appreciated. Be transparent. Share what you know, so everybody has access to the same information. Also, make sure to state what you don’t know!